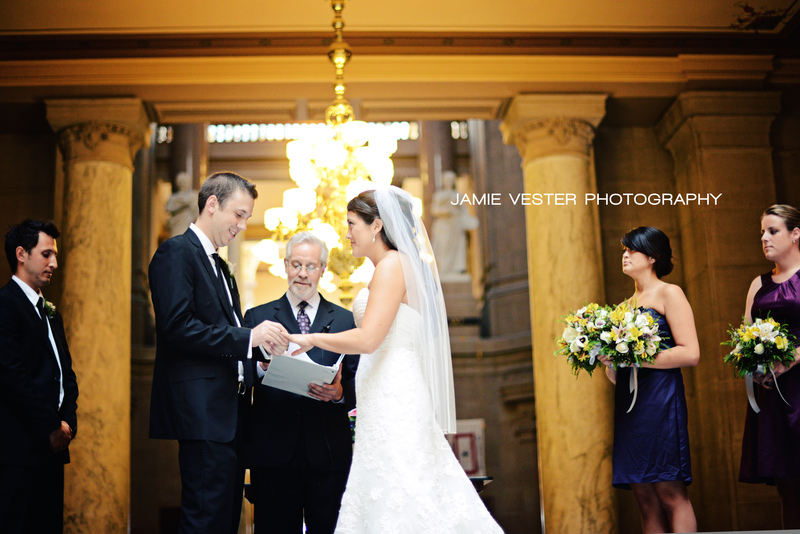 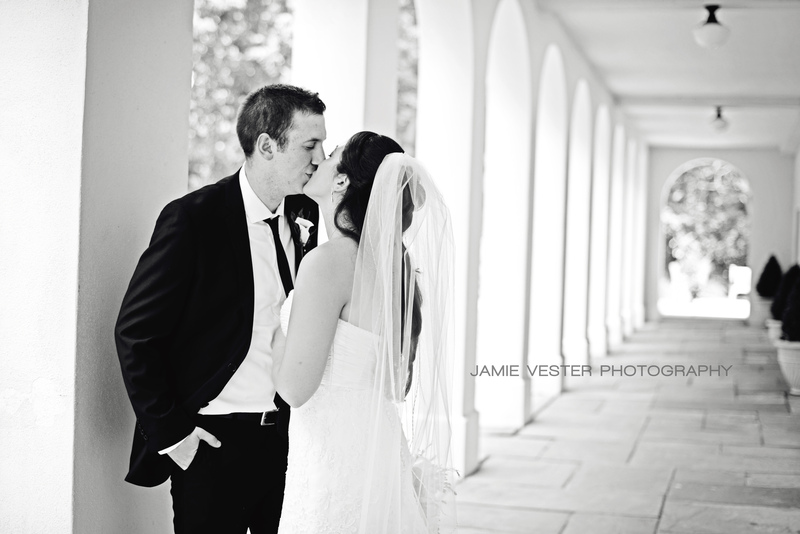 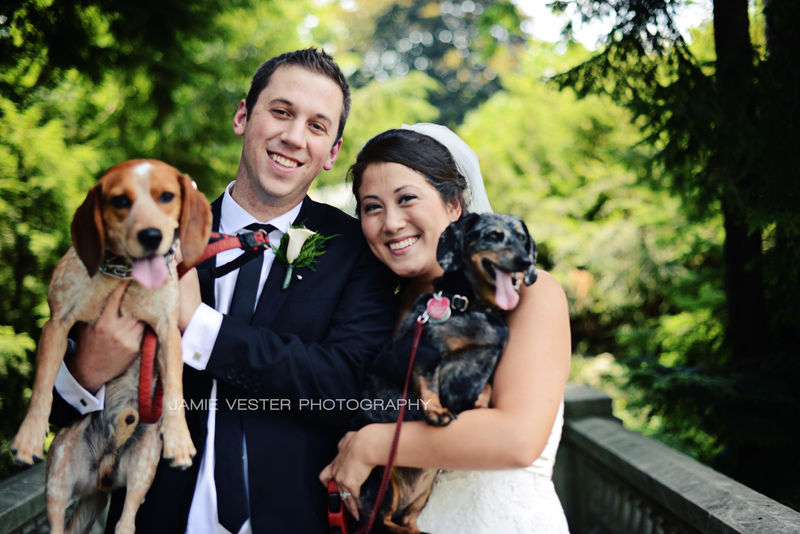 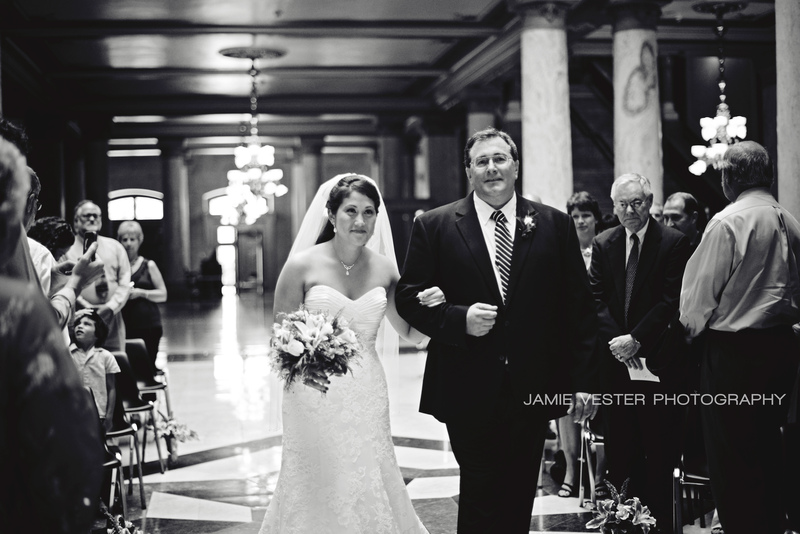 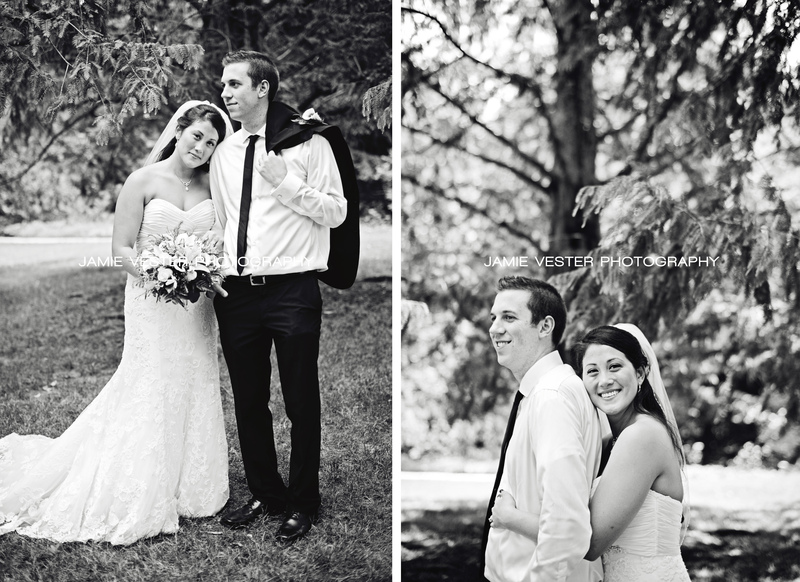 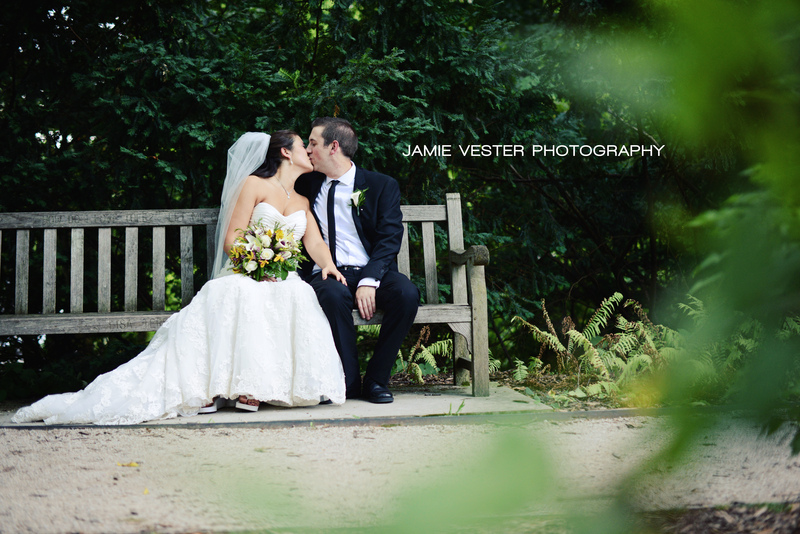 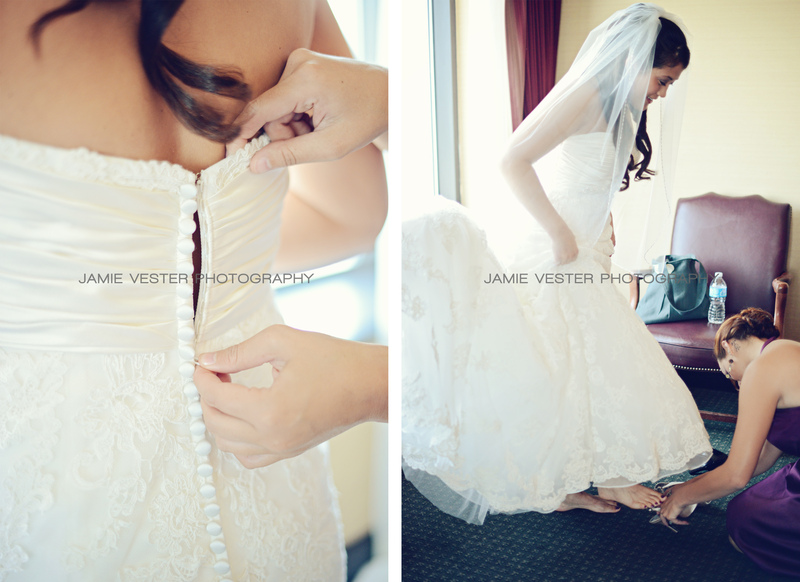 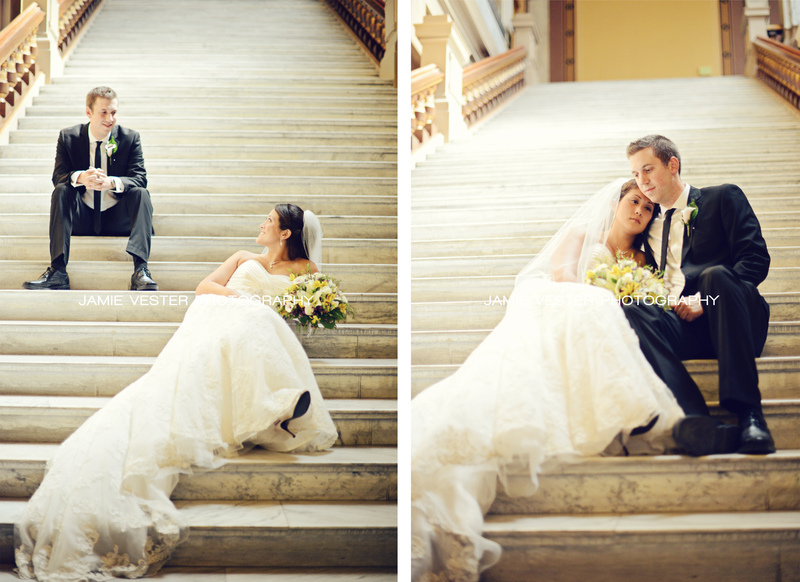 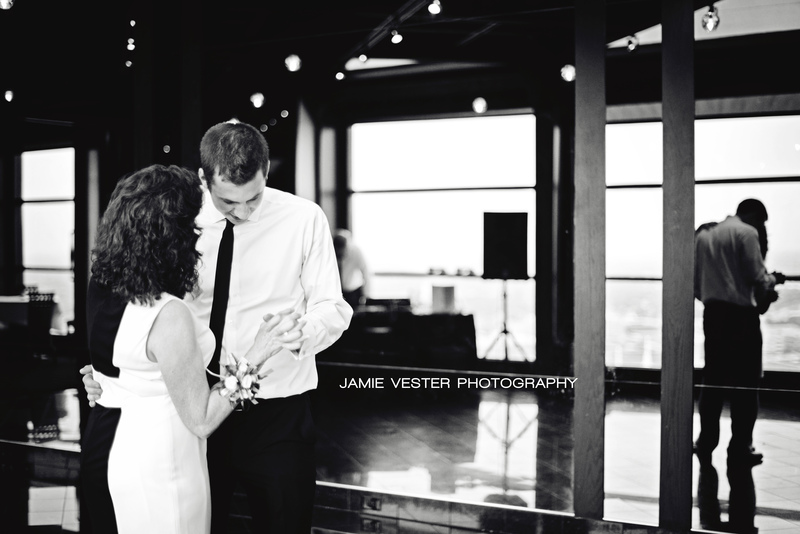 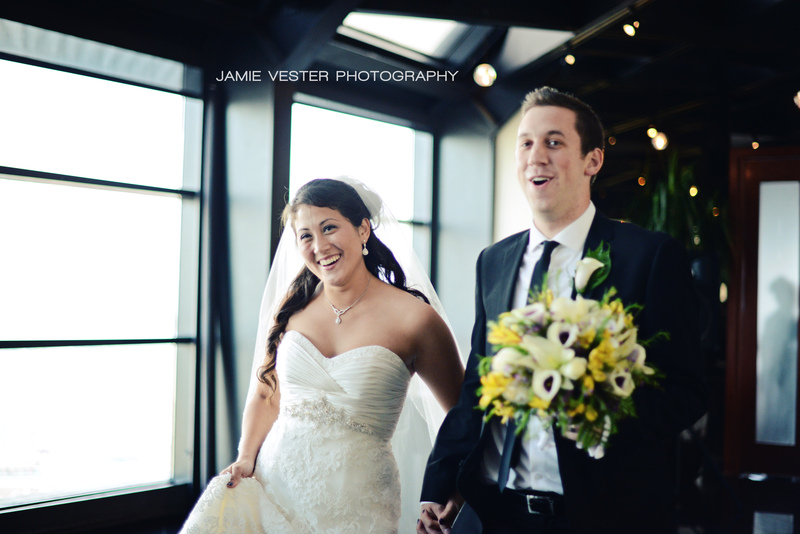 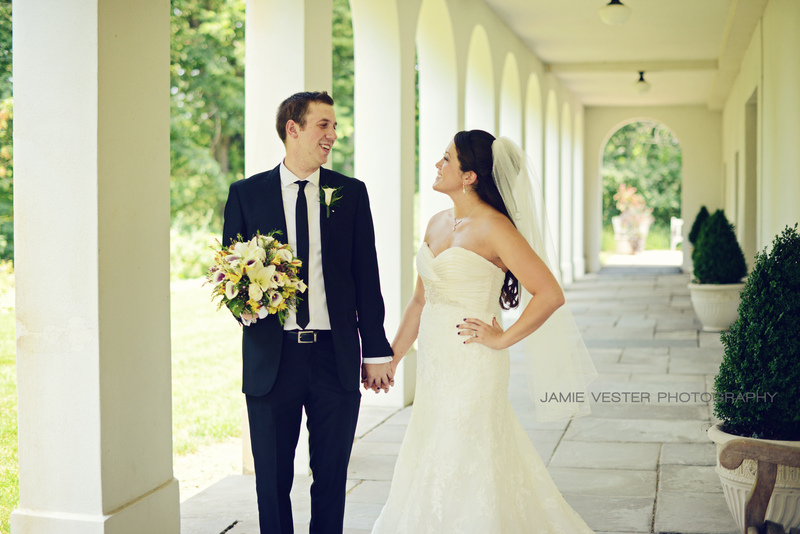 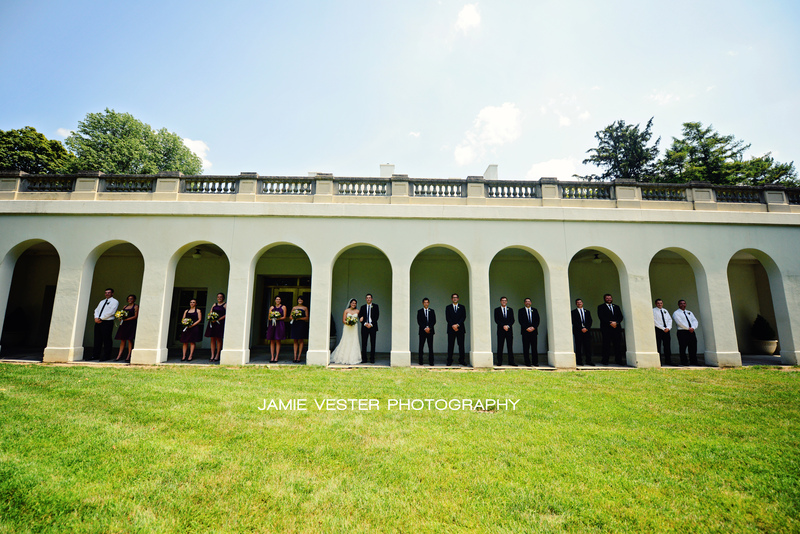 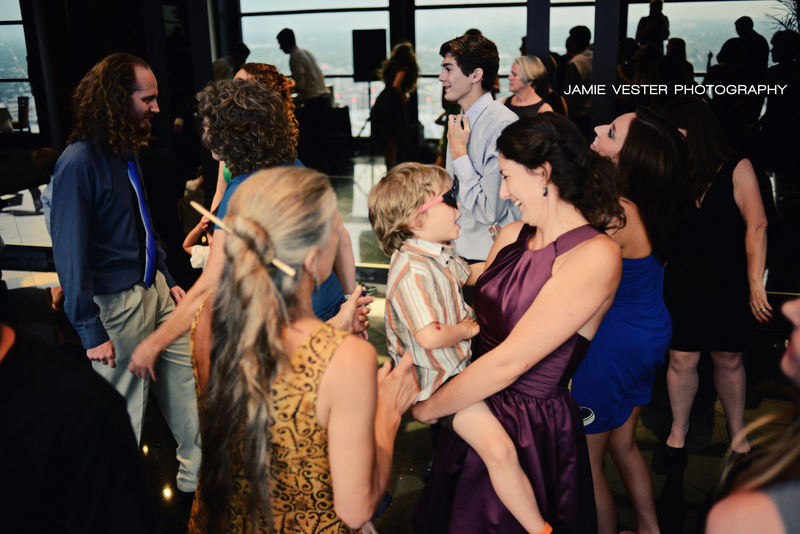 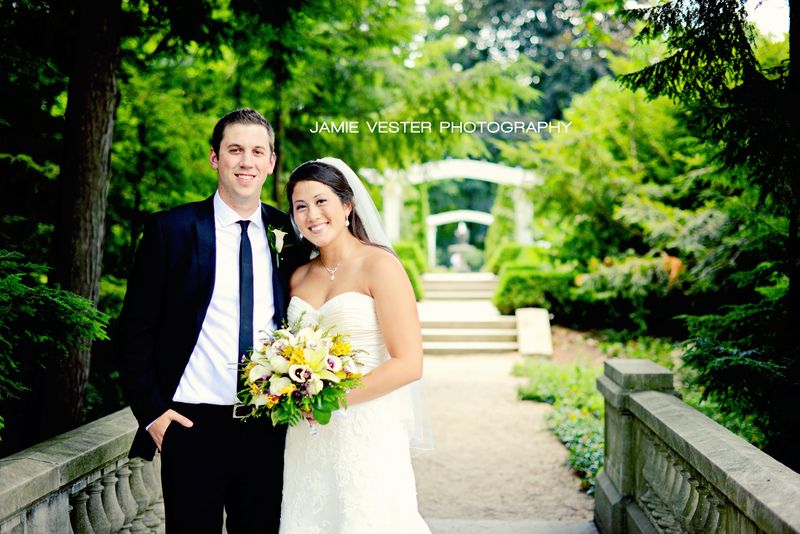 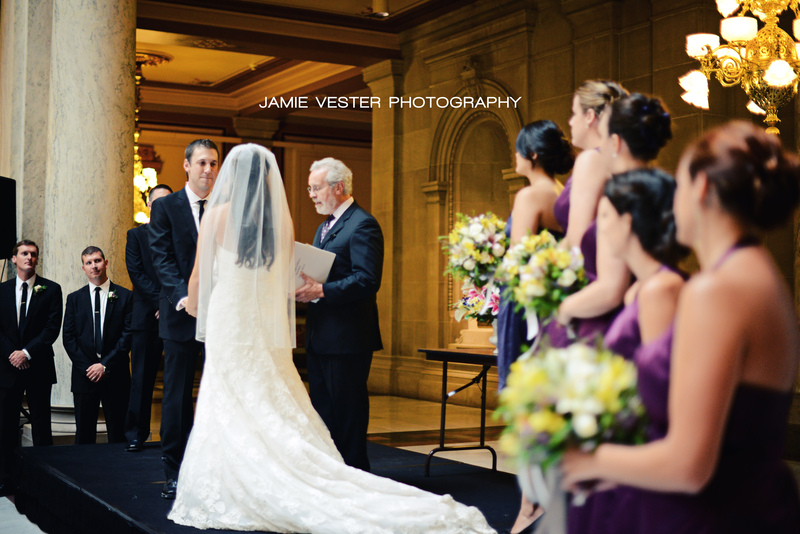 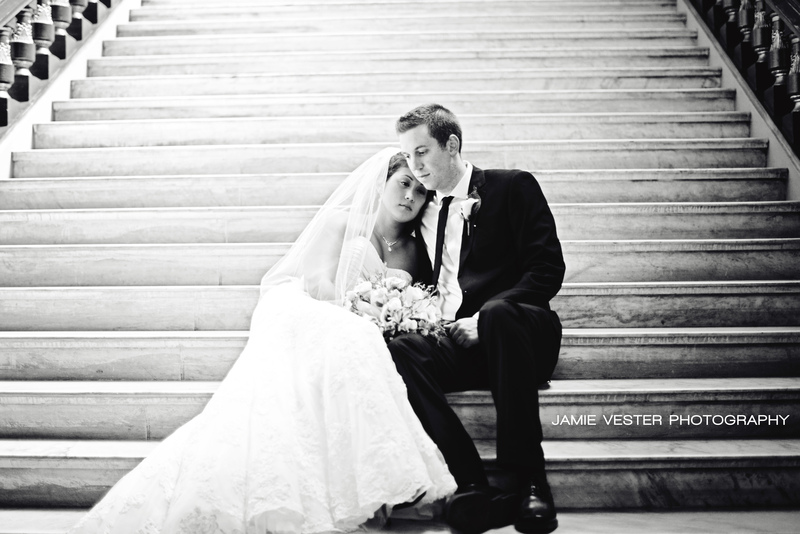 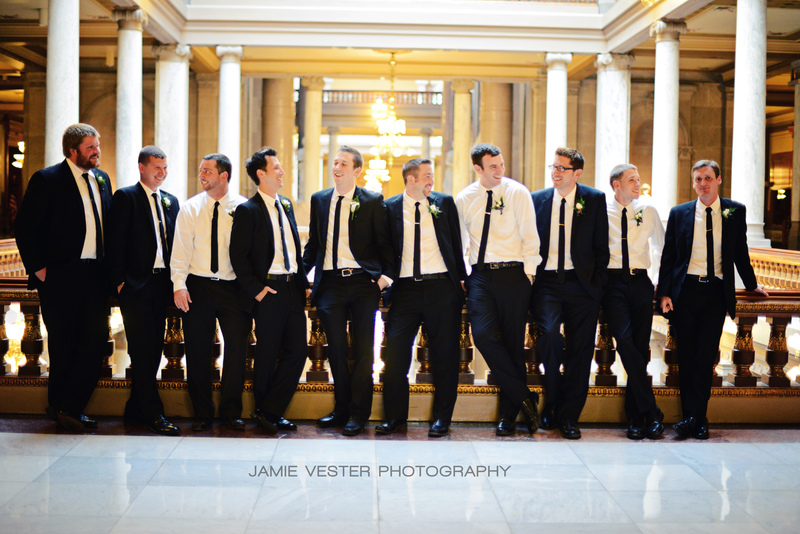 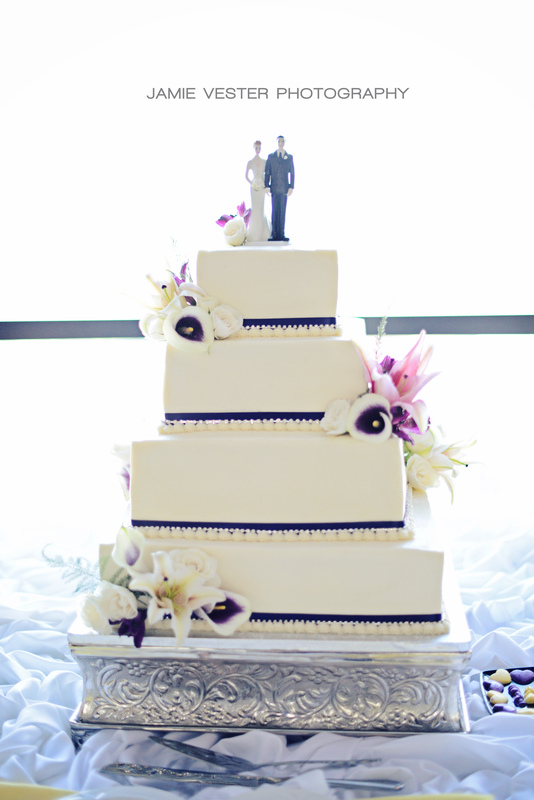 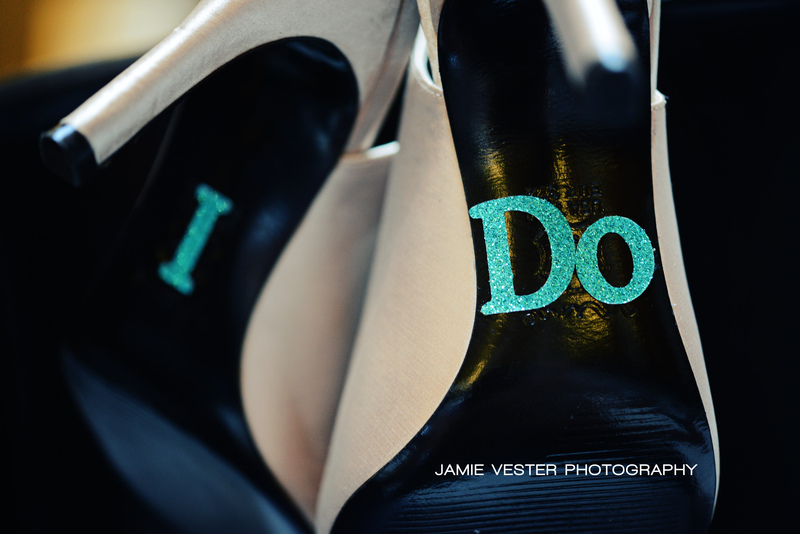 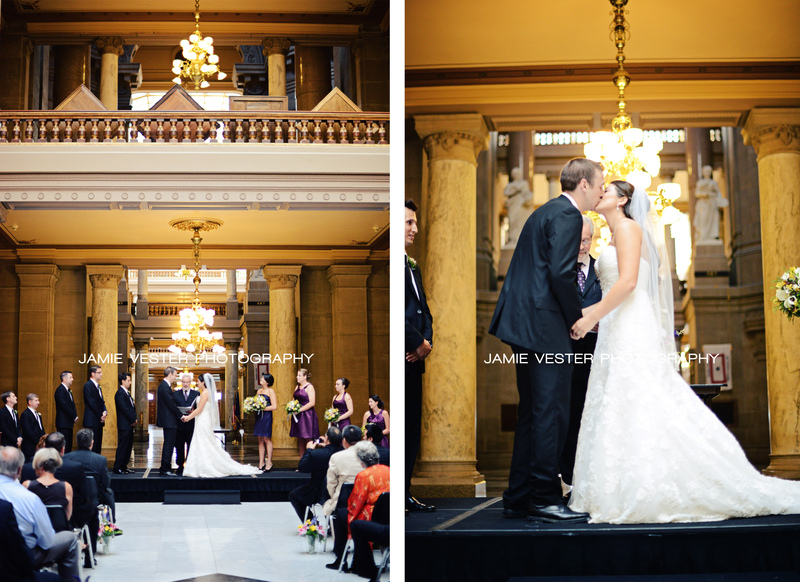 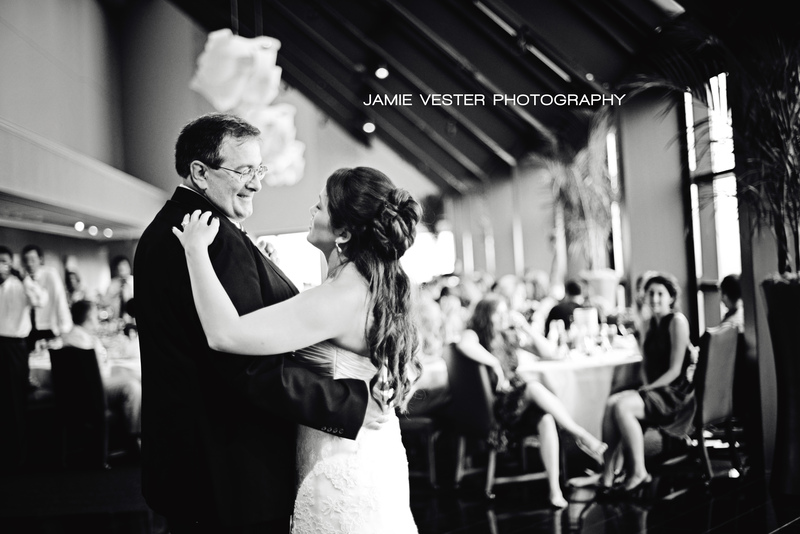 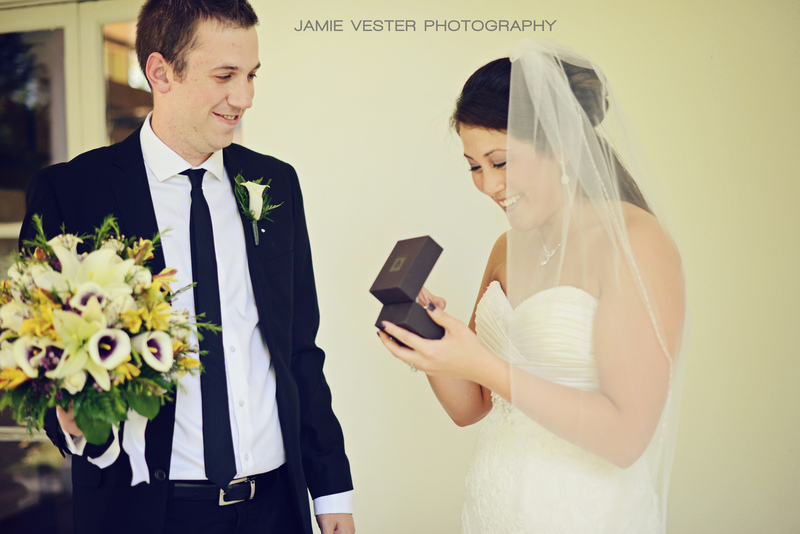 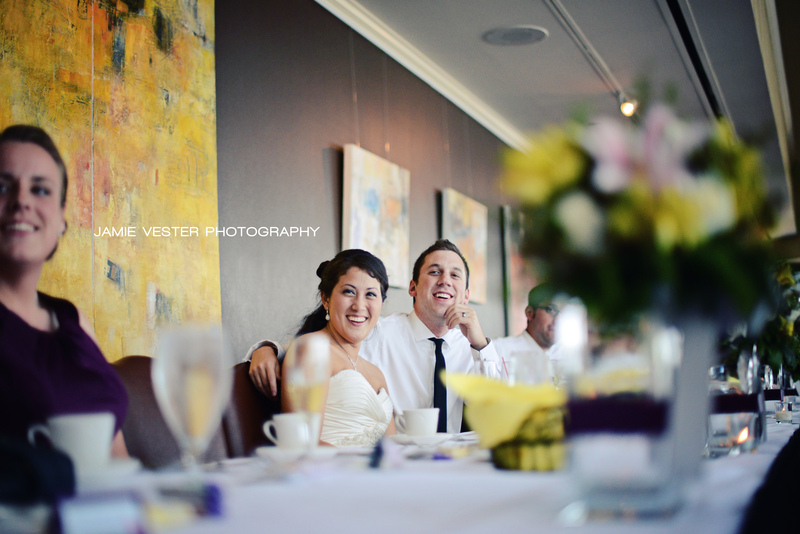 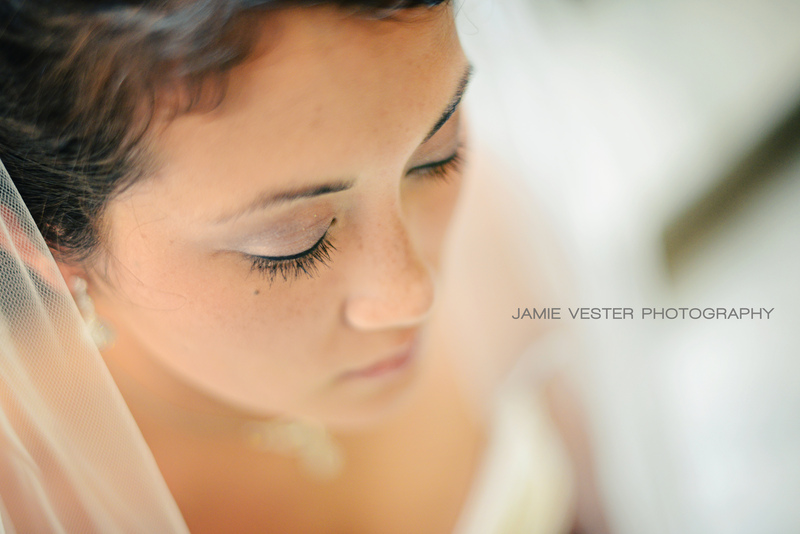 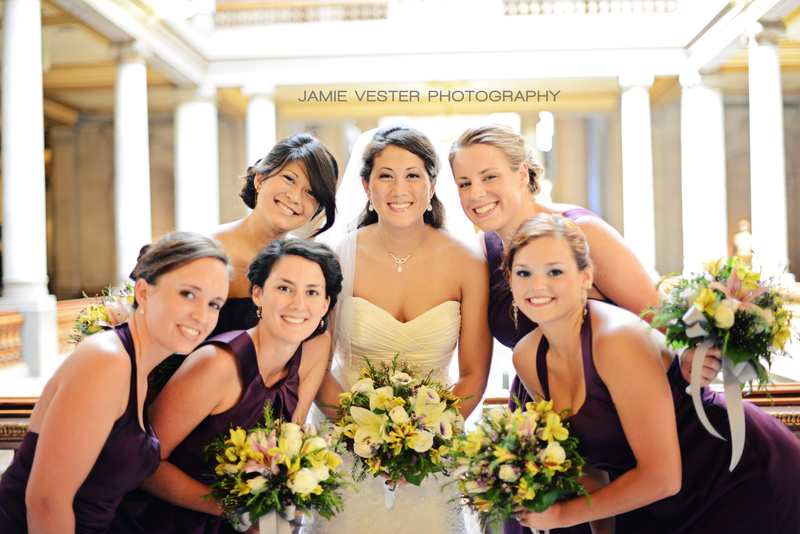 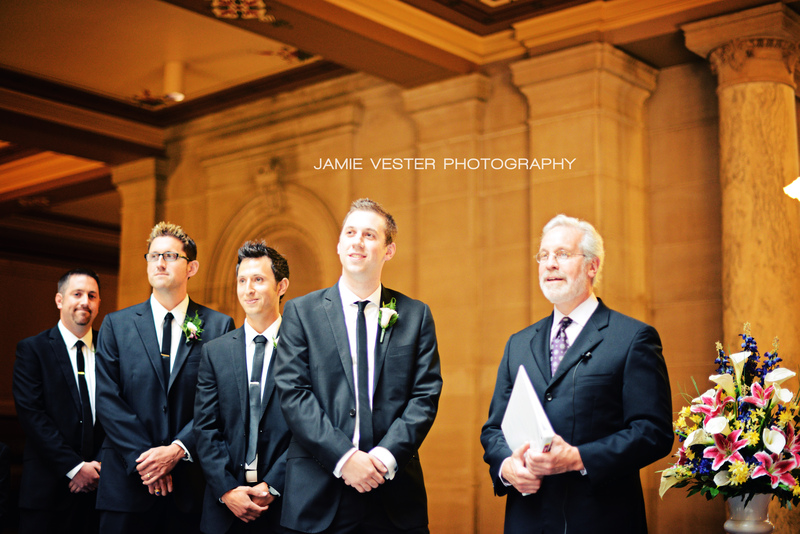 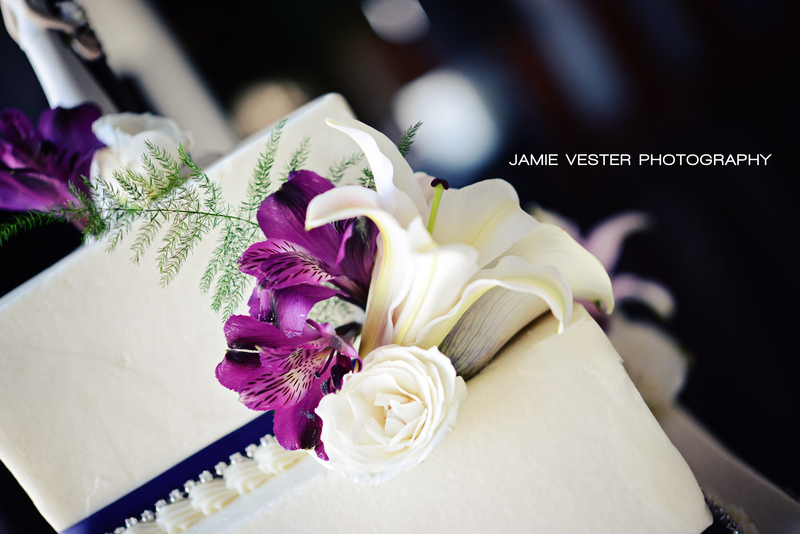 Colleen and Kullen had a gorgeous wedding at the Indiana Statehouse in Indianapolis on July 7, 2012. 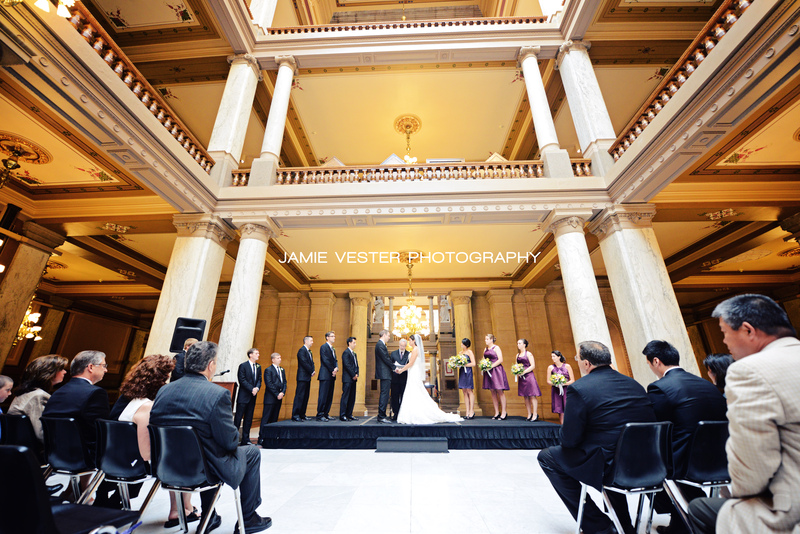 The Statehouse is such a gorgeous location for a wedding. 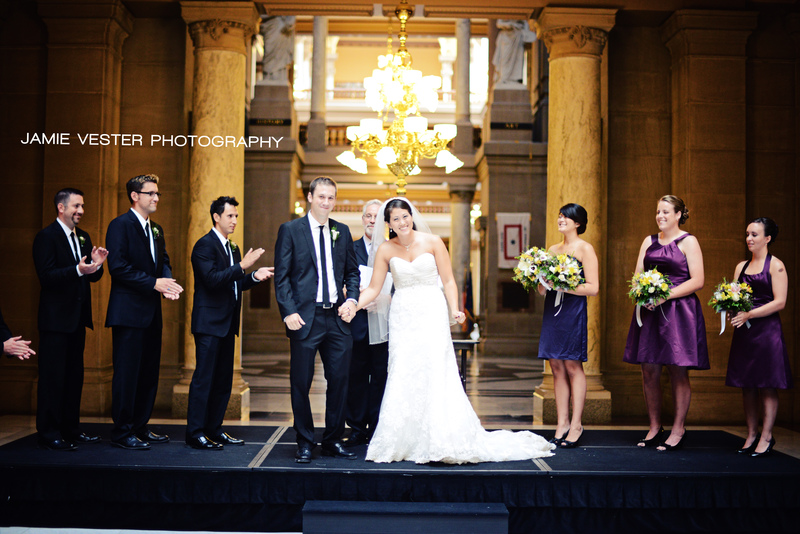 The huge staircase and the soaring atrium make for an elegant setting for a wedding. 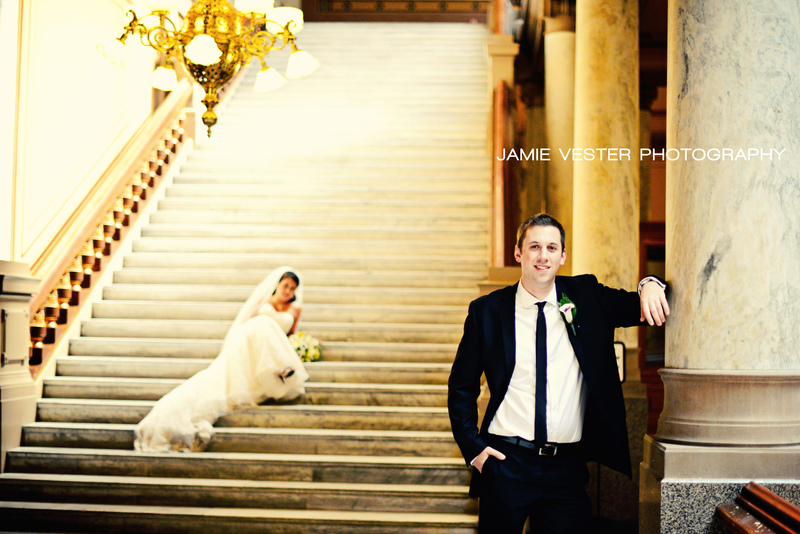 We went to Indianapolis Museum of Art to take all of the first look photos and the wedding party photos. 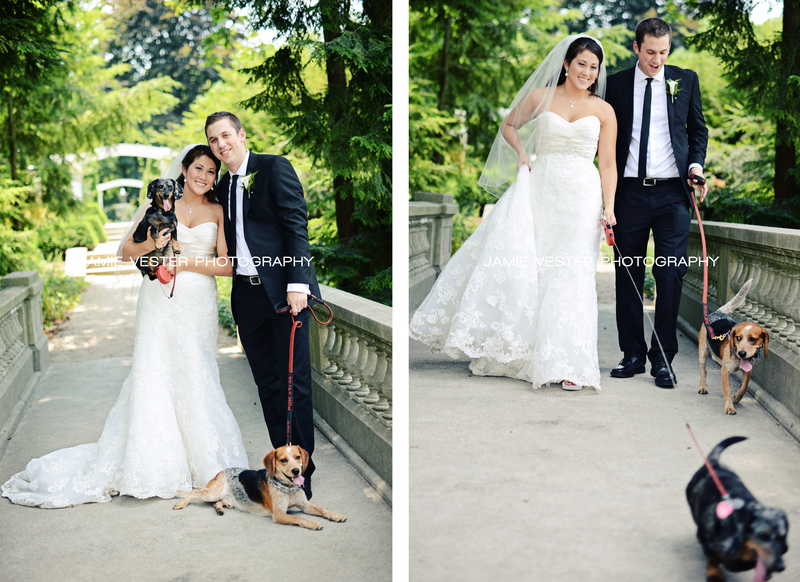 Colleen and Kullen had a friend bring their dogs for a few minutes to get some photos with them and their dogs were so cute! 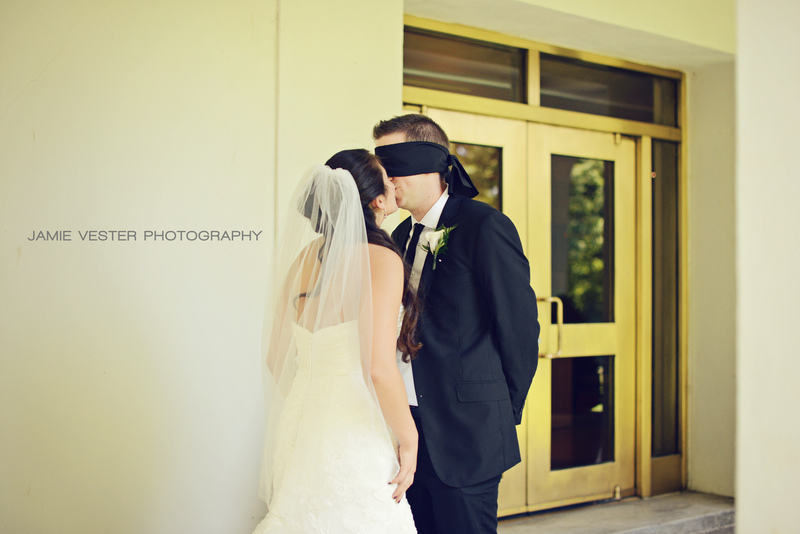 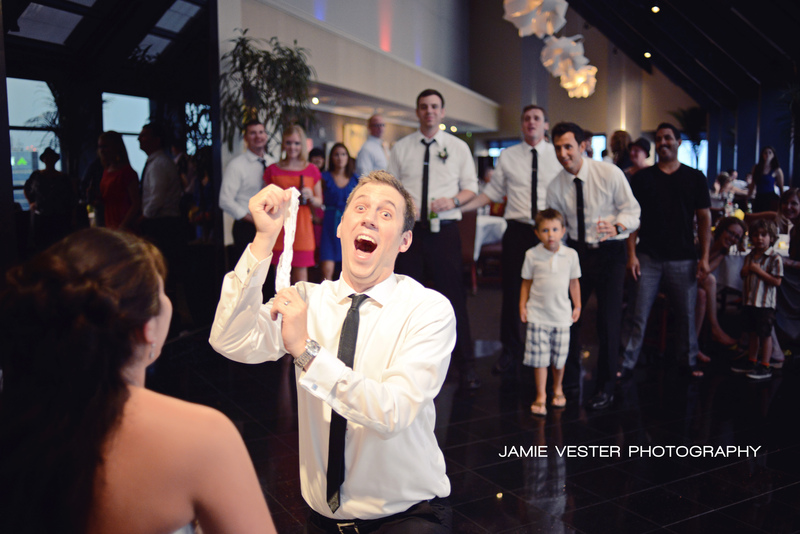 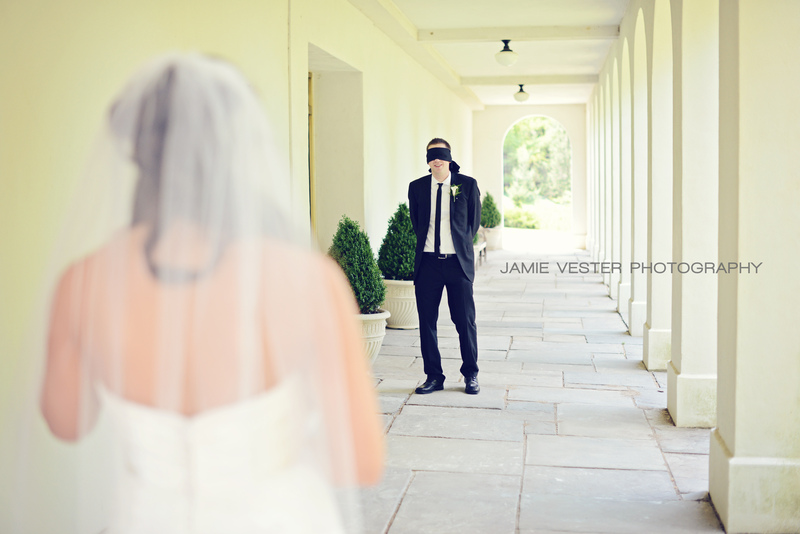 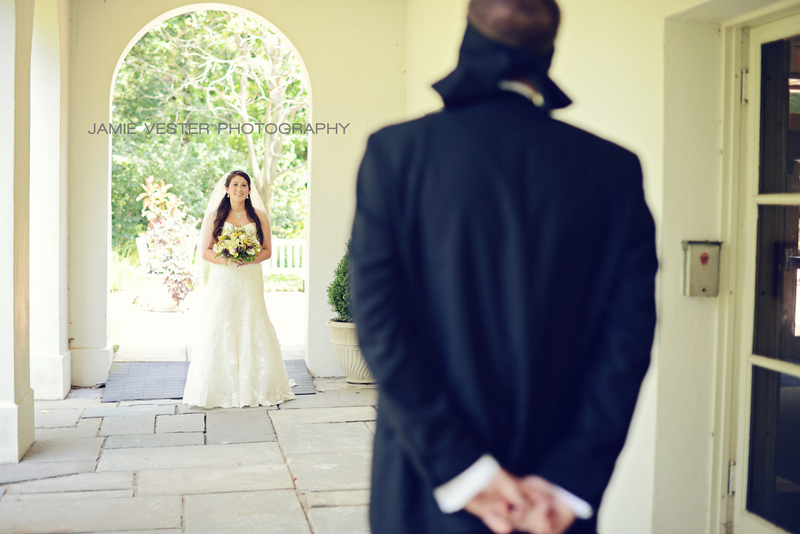 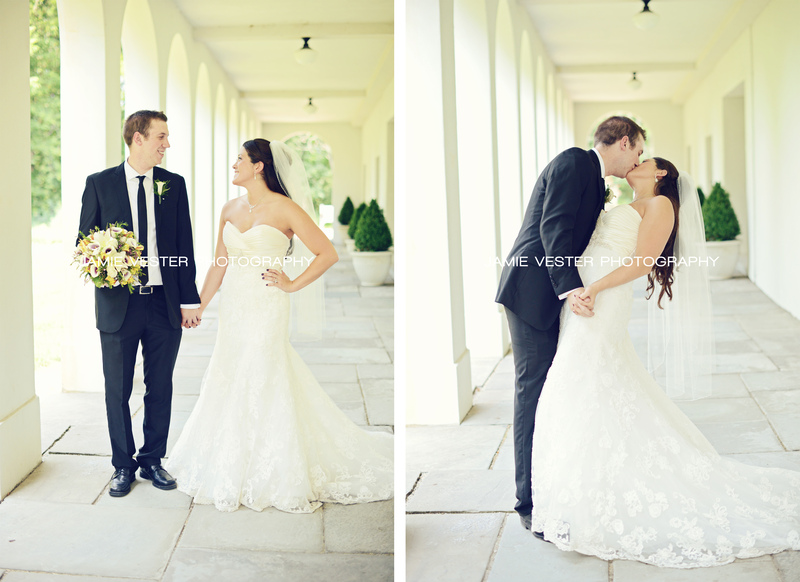 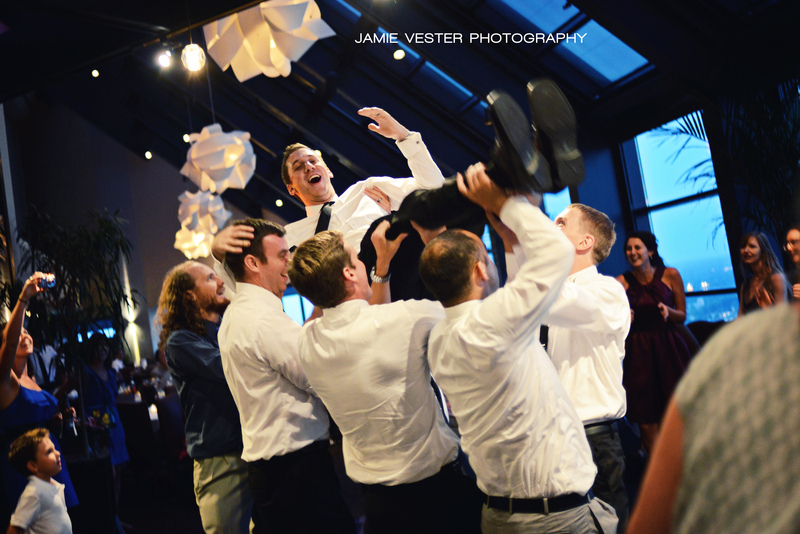 The first look photos were creative as Kullen had a blind-fold on before Colleen walked up to him and slipped it off over his eyes. 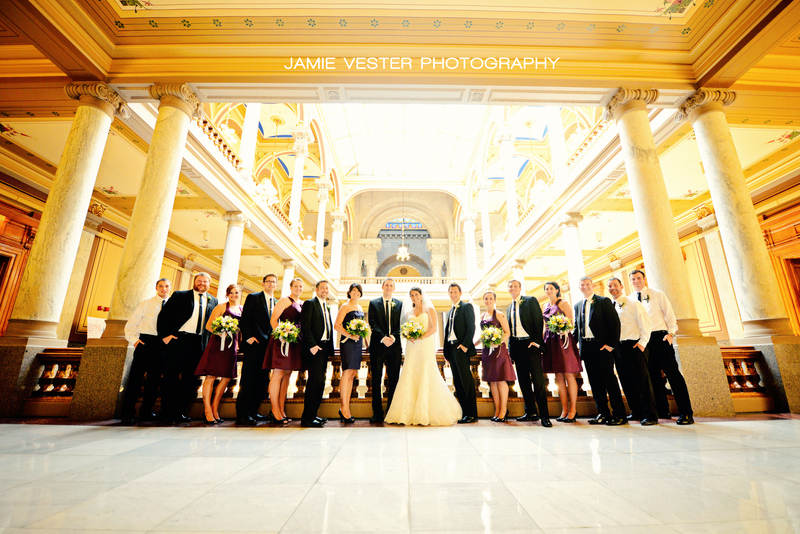 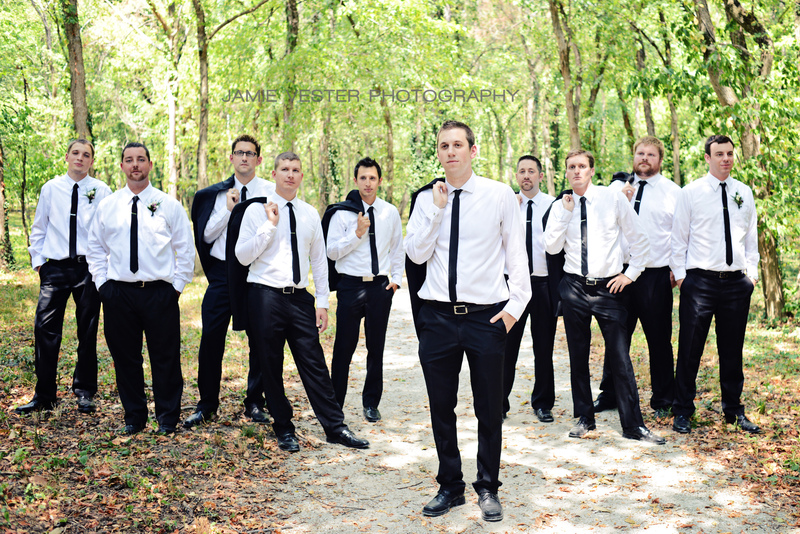 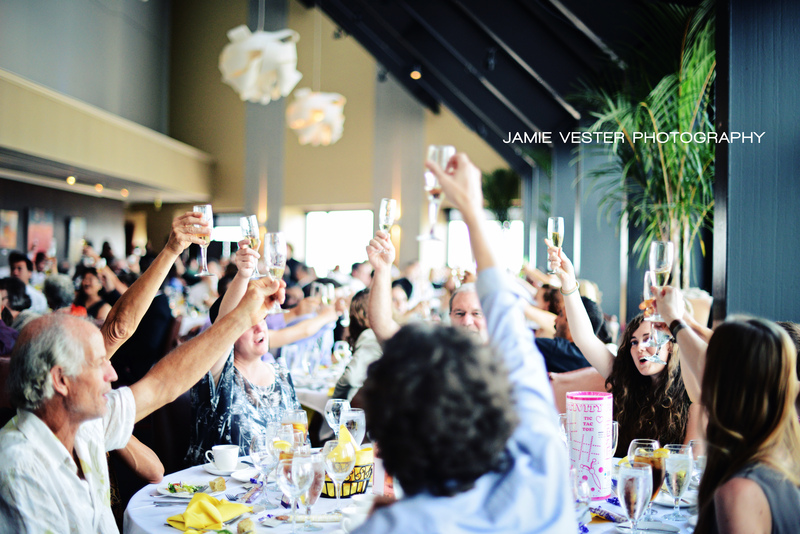 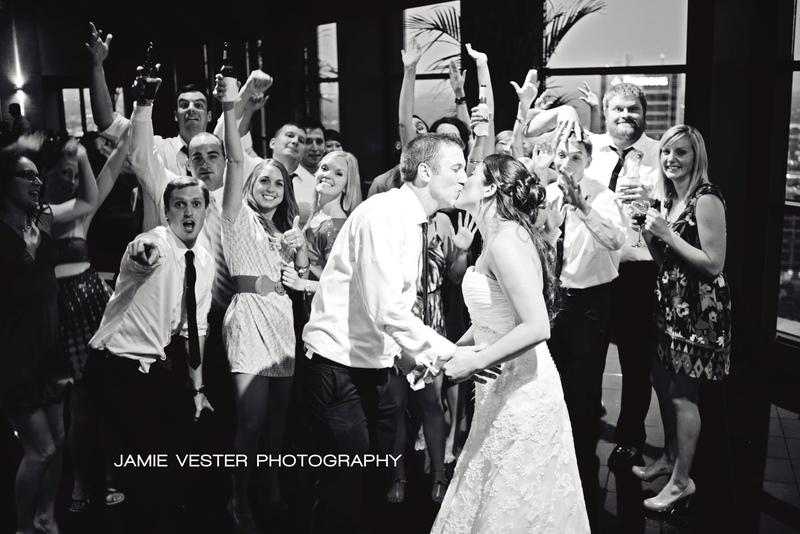 The whole wedding party was there to be there for the bride and groom. 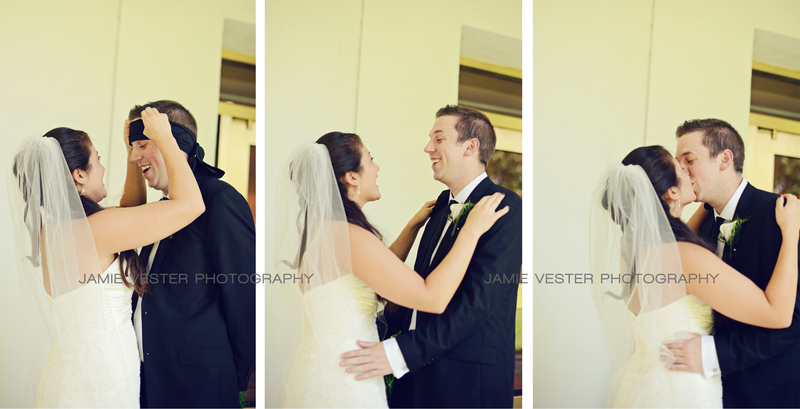 Everyone was a good sport about it too considering it was 105 degrees outside that day! 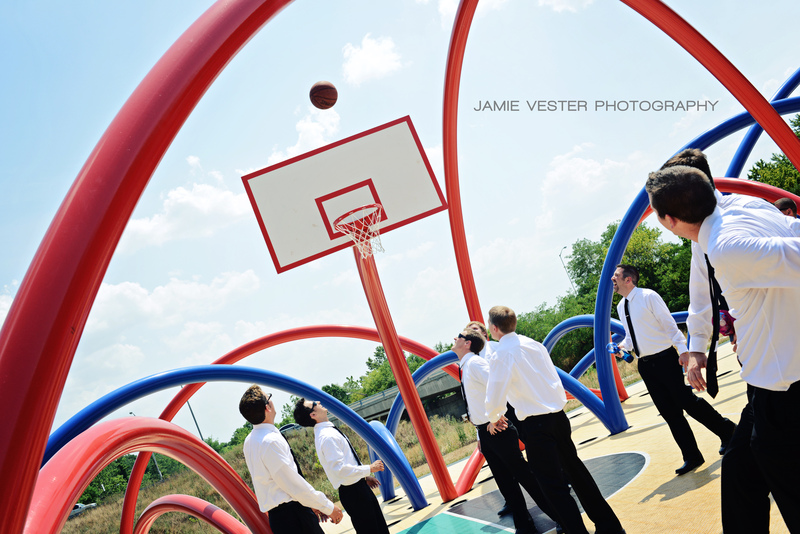 The guys decided they wanted to play some basketball at the IMA which made for fun photos. 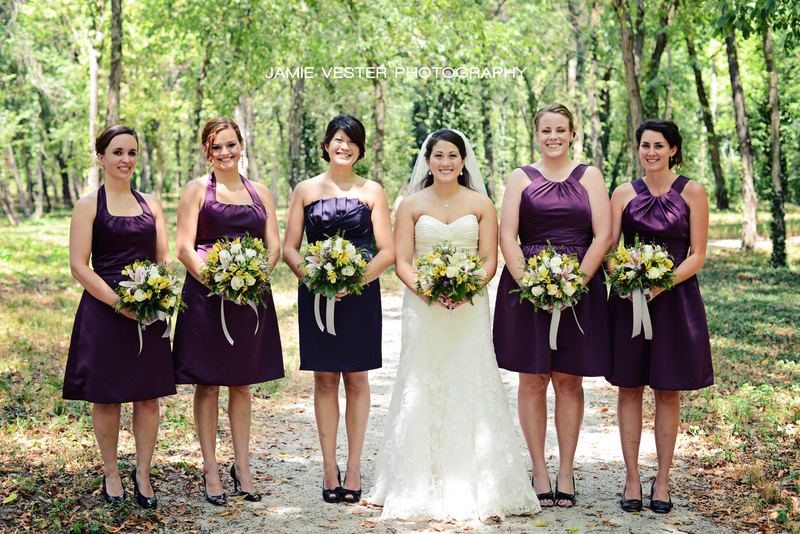 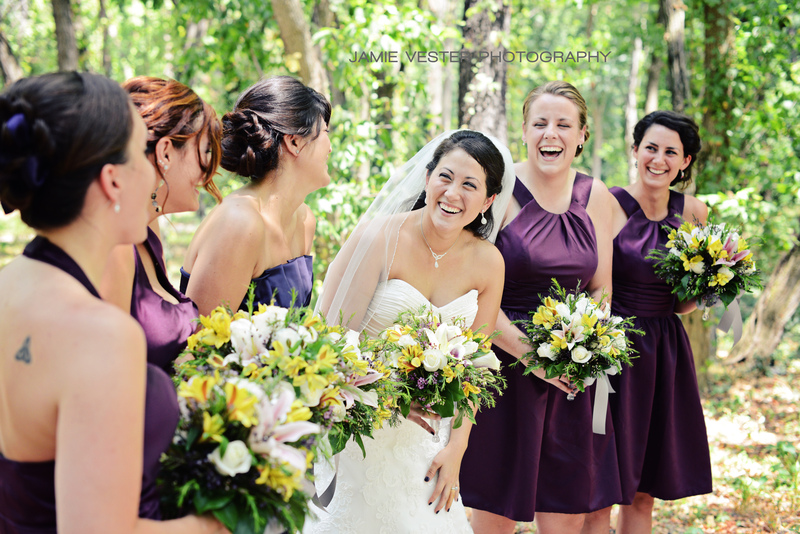 Their colors were a deep purple and a vibrant yellow. 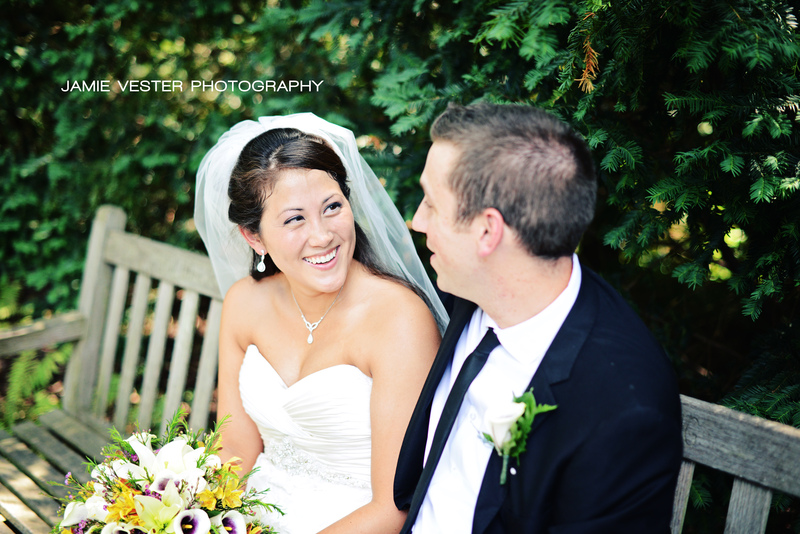 Colleen and Kullen are so in love and naturals in front of the camera which makes my job easy. 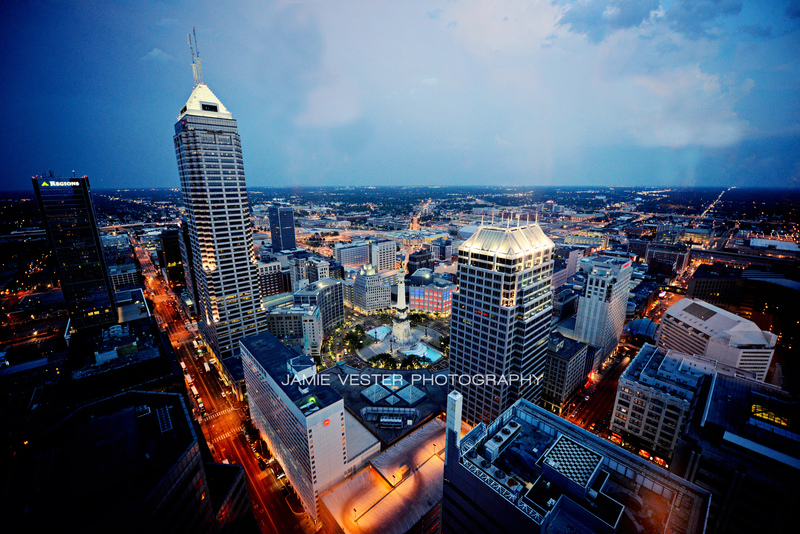 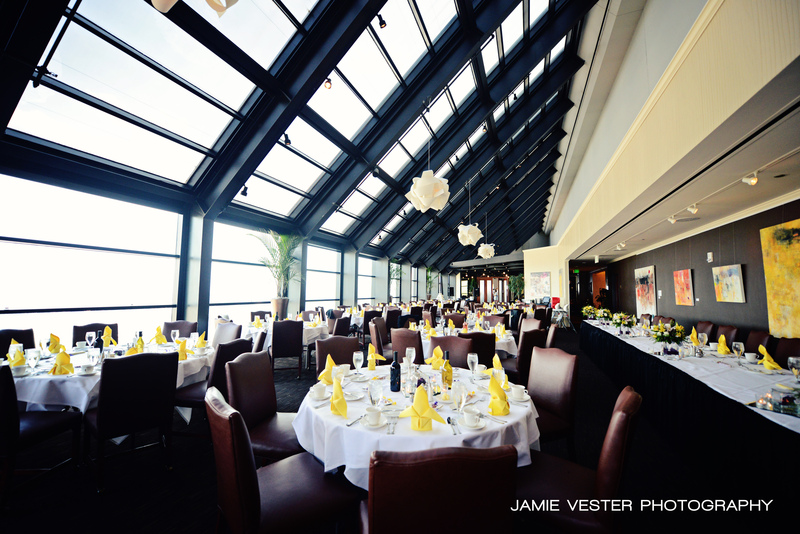 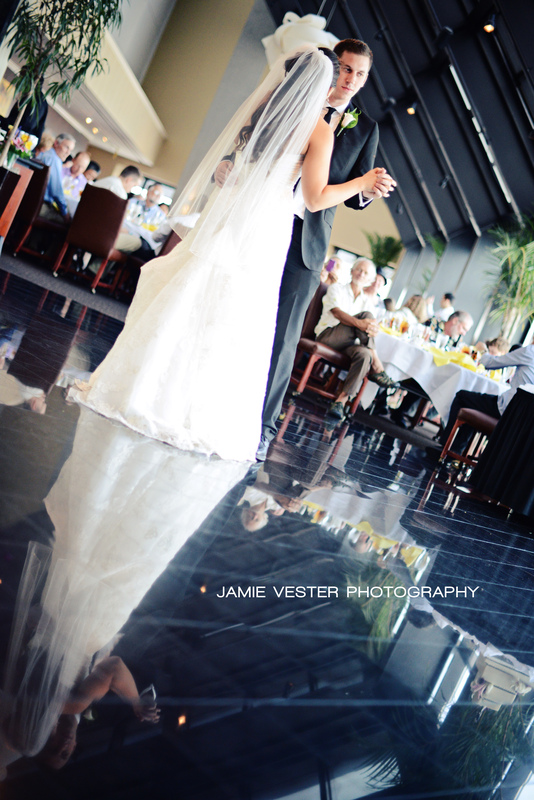 The reception was at the beautiful Skyline Club of Indianapolis on the 36th floor. 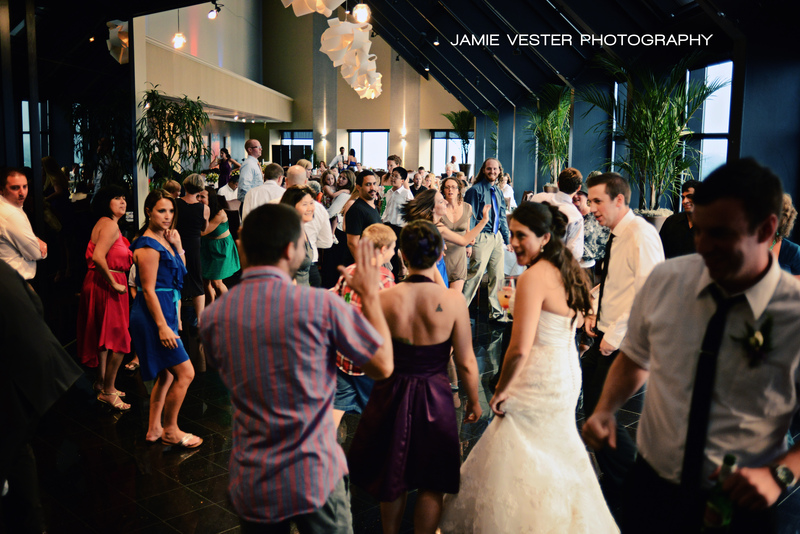 The guest were dancing up a storm on the dance floor! 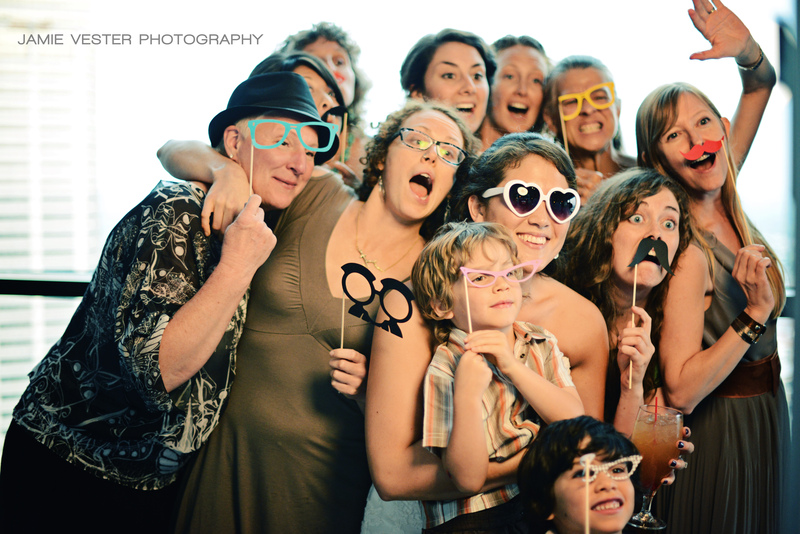 You could tell everyone was having a great time. 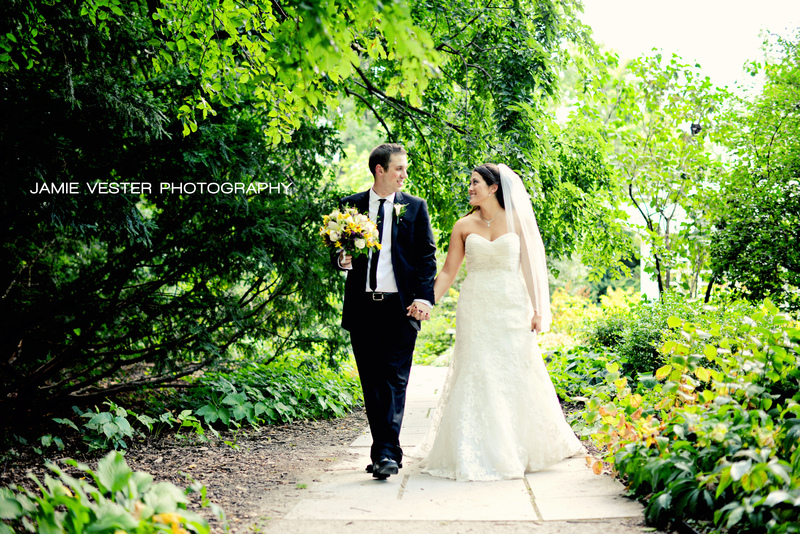 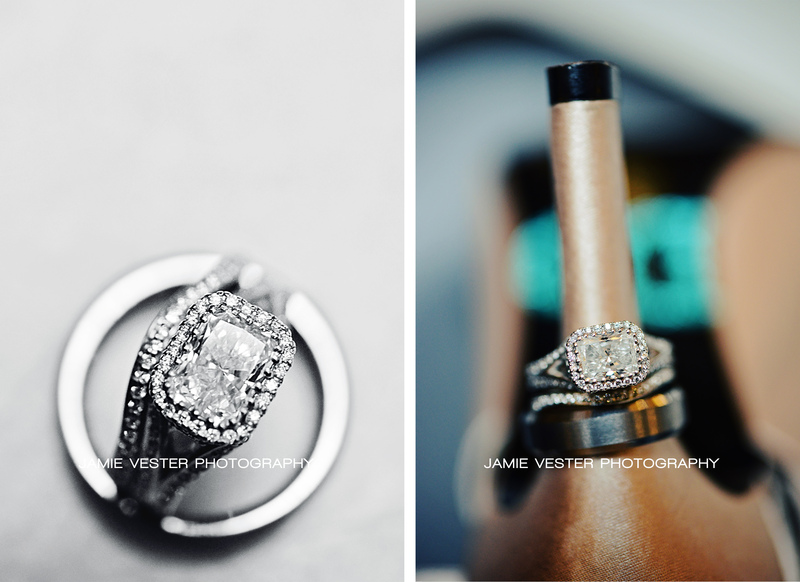 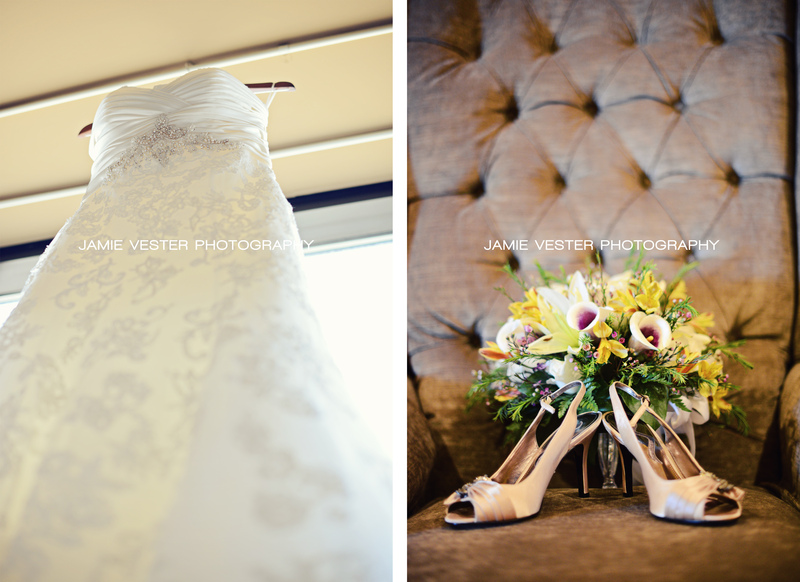 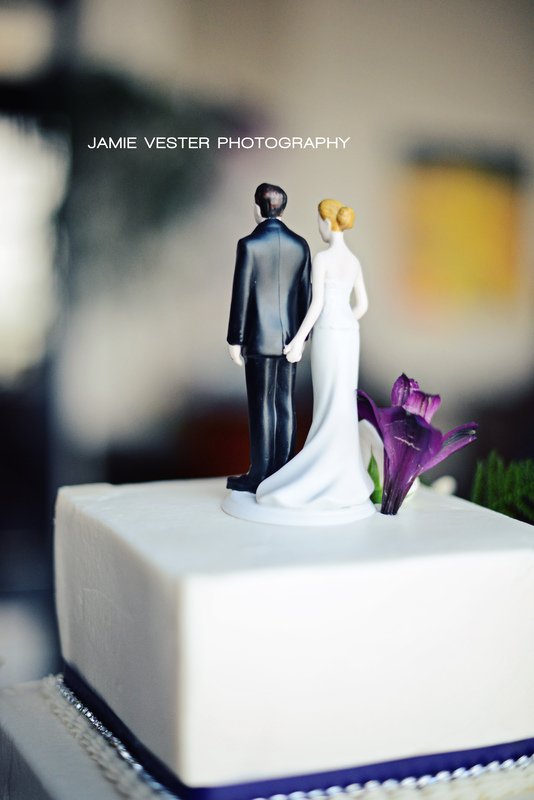 Thank you Colleen and Kullen for letting me be a part of your beautiful wedding!